Our range of breads include, White, Wholemeal and Multigrain blocks, Sourdough , Bread sticks, Vienna, Dutch and Fruit loafs. All sliced upon request. Rolls come in all shapes and sizes, and Turkish/ Herb Foccacia types. Our Cake and Slice Cabinet is always changing as we create and try out new ideas. 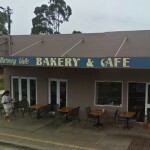 We sell old fashion Custard Tarts, small Tarts, assorted muffins, slices, cupcakes, rock cakes, anzac and chocolate covered cookies, meringues and a variety of tea cakes. All made with freshly chopped ingredients and top quality beef. Plain Beef to Beef and, mushroom, tomato and onion, curry, cheese and bacon, pepper, potato, works with everything. Spinach and ricotta and chicken and corn. Chai Latte or Hot Chocolate. Cold Drinks – Milk shakes, Iced Coffee, Freshly sqeezed Orange Juice and Tropicana juice (pineapple, apple, rockmelon, orange and passionfruit), flavoured slushies. Skim and Soy Milk is available and Takeaway option for all. Our Menu has something for everyone in the family or group and really is good value for money. Our meals are huge and very satisfying. 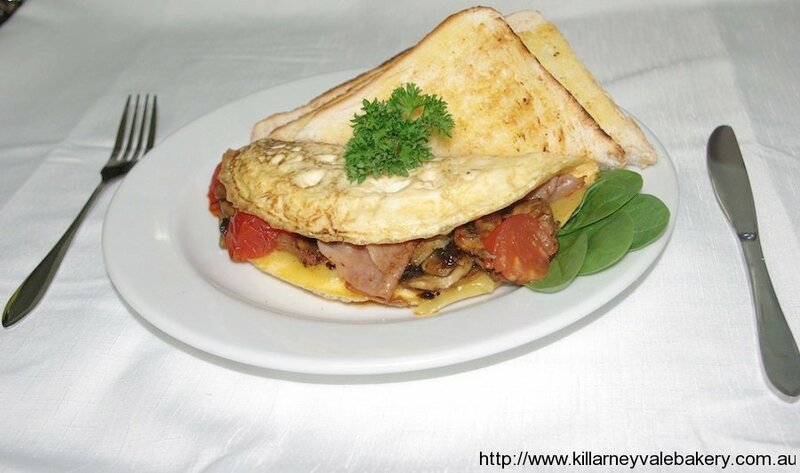 Our Biggest meal, Bushmans or Bush lady breakfast comes with eggs, bacon, sausage, mushrooms, baked beans, grilled tomato and baby spinach served with our Thick Jumbo Toast slices. 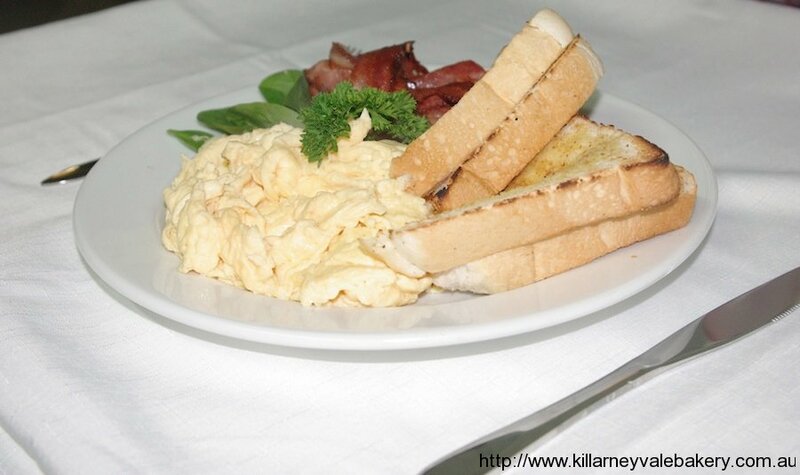 Eggs Benedict with ham or bacon, French Toast, Pancakes with your choice of toppings, Omlette served with ‘the works’. 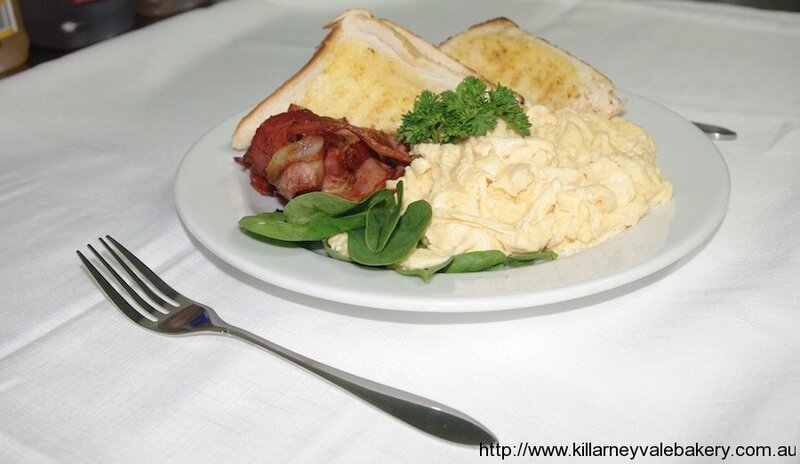 Its Great Value with our Egg and Bacon Roll that comes with a Free Hot Drink. We are not limited to just breakfast. We serve a Big Belly Buster Burger or Hamburger. Soup of the Day with Herb or Garlic bread, Steak Pub, Chicken Ceasar and Ceasar salad, variety of chicken wraps and Chicken Pastas. Create your own meal or takeaway lunch with our variety of Meats, salads and vegetables. 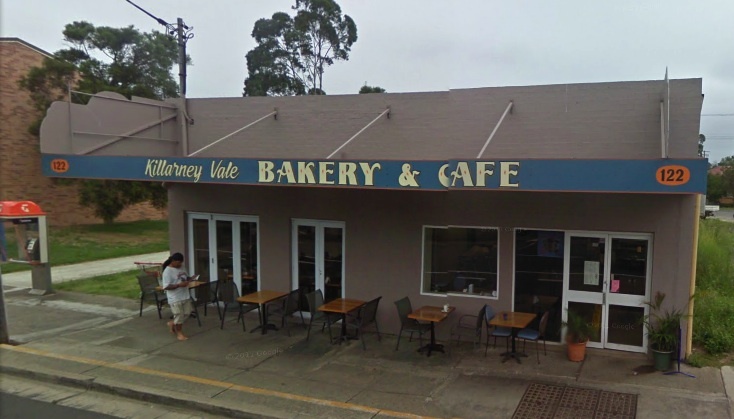 Our Chicken, Schnitzels and Tenders, Vegetarian and Salmon Patties, Beef Rissoles, Chilli Chicken, Lasagne (seasonal) are all made from scratch with our own recipes and cooked up fresh daily. 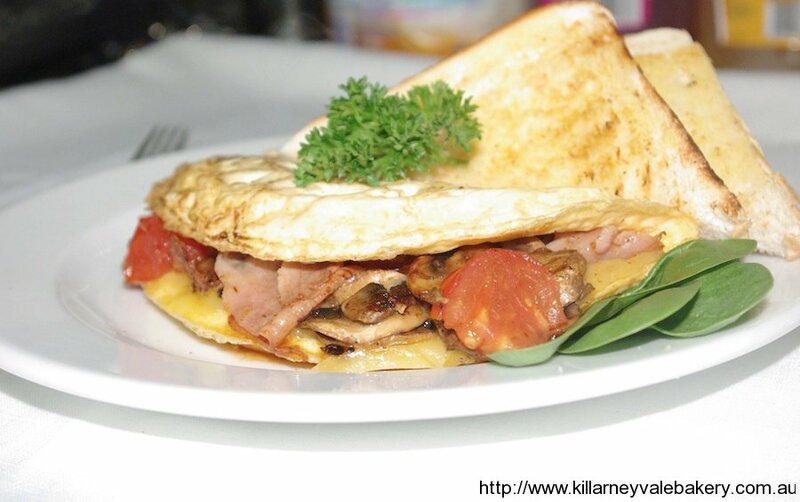 Try a Gourmet Toasted Turkish or Foccaica which have become very popular. A chicken Schnitzel, chilli chicken or vegetarian pattie and served with avocado, sour cream, melted cheese and sweet chilli sauce all Hot and Toasted to perfection.